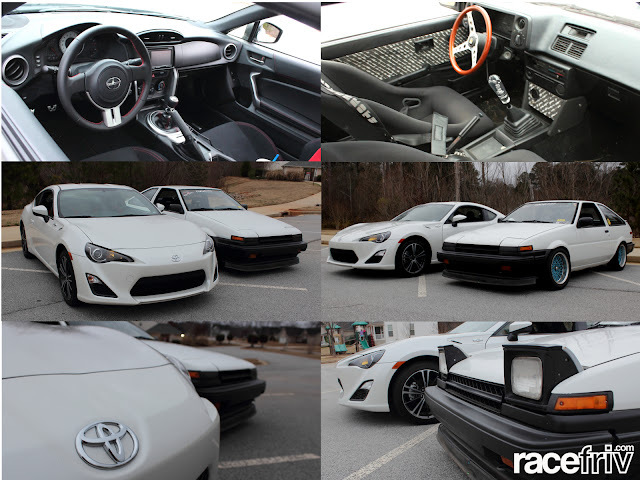 Our good racefriv friend Justin Dennis popped by my house the other day to show off his new FRS (which he has mostly converted to a GT86 now) and I couldnt resist getting a few pictures of our matching 86's before it got to dark. Later on were doing a full review of the cars to stay tuned for that but for now you'll just have to settle with some wall papers I tossed together. So click on the pictures to enlarge them and get yourself a new desktop! !